Unit 1 Olmsted Parks and Boulevard System: Students will learn about Seattle's Olmsted Parks and Boulevards System. 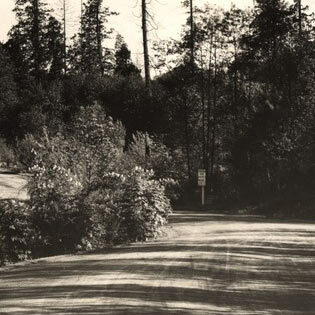 They will use selected primary and secondary sources to identify which of Puget Sound's natural resources played a significant role in Olmsted's plan for the parks and boulevards. Unit 2 Natural Resources: Students will analyze the importance of this state's natural resources to those who chose to live and work here. Students will use maps, timelines, and online research to examine why transportation played a significant role in allowing people to reach and use this region's natural and human-made resources. Intersection of Interlaken and Washington Park (later Lake Washington) boulevards, 1911. Photo by Webster & Stevens. Courtesy Seattle Municipal Archives, Item No. 29378. How Can Citizens Make a Difference in Matters That Affect Their Neighborhoods? Students will identify current issues that impact the lives of those who live in the Lake Washington area. Using a set of primary sources provided, students will research multiple perspectives on this issue and choose a personal stand. Students will defend both their individual views on this issue and the credibility of their resources. 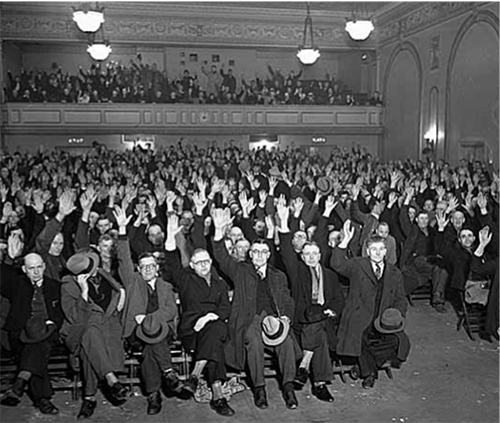 WPA workers vote to strike inside Eagles Hall, Seattle, 1937. Courtesy Museum of History & Industry. What Can History Teach Us About the World Today? Students will analyze how the environment and natural resources of Lake Washington have been utilized over the past 200 years. 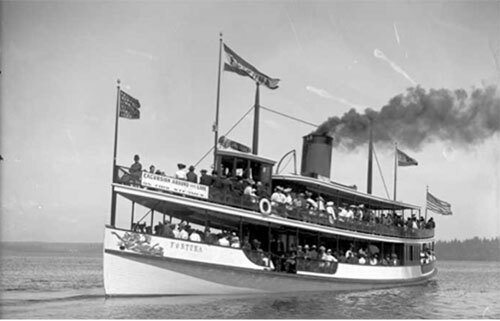 Using maps and timelines, students will examine how crossing Lake Washington has influenced the lives and cultures of those who lived in this region. CBA: What’s the Big Idea?